diseases and surgery of the retina and vitreous. Dr. Nabil E. Srouji, Ophthalmologist specializing in the diseases and surgery of the retina and vitreous. 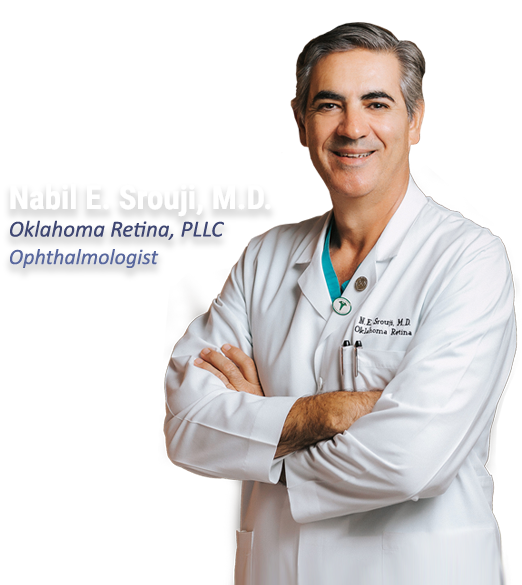 Dr. Srouji founded Oklahoma Retina, PLLC in January 1998. Dr Srouji specialiizes in diseases and surgery of the retina and vitreous, utilizing the latest technologies available. At Oklahoma Retina, PLLC, our mission is simple. To provide the highest quality retina care available. Our practice is limited to disorders of the retina and vitreous. We know how stressful it can be when you’re facing a loss of vision for any reason. Eye sight is precious and we are devoted to making your experience with us comfortable, informative, and pleasant. We strive to provide the most rewarding experience for our patients. It is important for patients to be fully informed about their eyes as well as the treatment for them. Our practice is founded on the principals of professional and caring service. We pride ourselves in bringing this forth to our patients as well as to our referring physicians. We will keep your referring physician informed of your progress. Dr. Srouji holds great importance in maintaining state-of-the art diagnostic and therapeutic equipment to the layout of our treatment rooms. Our practice is designed to ensure your absolute comfort, safety and satisfaction. We welcome family and friends to attend appointments to help with questions or instructions. We offer the best technology for your eye care needs. Whether you need eye surgery or a less invasive procedure, your vision is our top priority. Dr. Srouji and staff are trained and skilled in the latest treatments of retinal conditions. 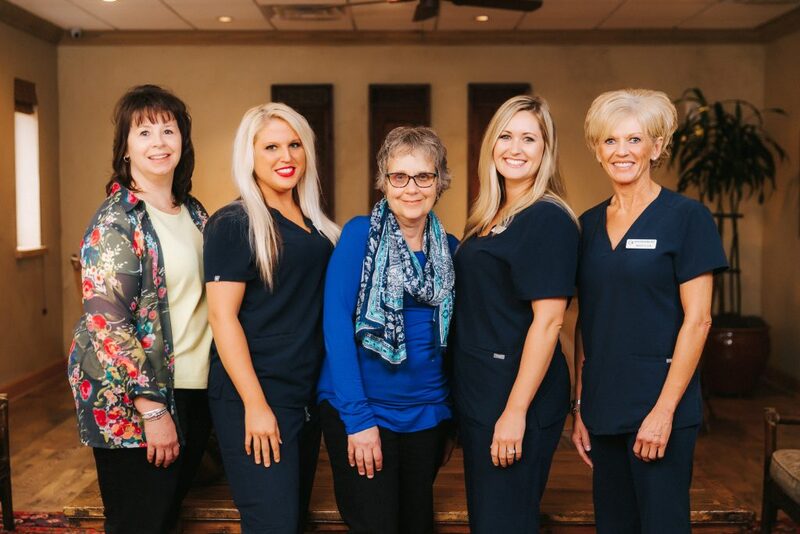 We strive to ensure that each patient receives an accurate and detailed diagnosis followed by a custom treatment plan that will lead to optimal outcome in a comfortable and professional atmosphere. Dr. Srouji does surgery conveniently located here at lntegris Baptist Medical Center and is backed by the lntegris Medical Center’s wonderful surgical staff. Thank you for visiting our website. We appreciate the trust you have in us. You can explore the different conditions and treatment plans for retinal diseases. Patients have the convenience of accessing records through the patient portal. Patient forms are also available to be downloaded. All of us at Oklahoma Retina, PLLC are readily available to answer any of your questions. Let us help you preserve your eyesight. We are committed to provide the very best in patient care and comfort. To provide the highest quality retina care available.